This month's challenge is reclaimed wood, one of my favorite materials to use. To me, reclaimed wood is any wood that you save from the dump or from being burned. I was recently visiting my husband's family and my brother-in-law had a lovely stack of grey, weathered wood that he had saved for me from a neighbor. I knew some of it had to become a bookshelf. I started by brushing the wood with a wire brush to remove loose pieces. I didn't want to sand it because I would lose all of that lovely weathered patina. so I had 2 L shaped pieces. I then measured across the top of the bookshelf and cut a board this length (241/2") and secured it with 2" screws. Notice how it is sitting back from the front edges. Had I cut the two back pieces 1" longer I would have avoided this issue. I then measured the inside of the shelf across the bottom and cut 4 more shelves this length (22 1/2"). Screw the bottom shelf in place. Use clamps when necessary. I measured down from the top 13 3/4" and marked it with a pencil and then added the next shelf. I did this with the last two shelves as well. I then added a trim piece on the top across the front. with 1908 Yellowstone postcards in it. And this Girl From Montana book. I love both of them. This shelf is a great size--not too big and the grey wood makes me smile! Now check out the other wonderful bloggers and then come back here to link up your own project! NOW SHOW US YOUR RECLAIMED WOOD PROJECTS! Love your rustic bookshelf! That is so great that your family saves wood for you! I love the tip of using a wire brush to clean up the wood. There's a pile of old wood lying in front of a neighbors house and I think I need to go grab some more now that I know how to clean it up! I've been wanting to make a bookshelf out of old fencing for so long. Thank you for the measurements and making it look doable! ;) LOVE how yours turned out...and those books? Way fun! Great job Becky. I love seeing your reclaimed wood projects. Love the books too, very cool. Hey Becky! I love your shelf and your one inch "mistake" looks like no mistake to me. What a simple way to create a shelf. I have to tell you though, I am so super excited to watch you refinish your school house (I say that every time I visit). My husband found one for sale where we are moving but it is a little too far out of the way for work commutes and family. I told him I have a "friend" (you) that just bought one in Montana....now that is a dream! We are heading to Utah and can't get there soon enough. The mountains are magical and we love Big Sky! I LOVE your bookshelf, Becky! The weathered gray is just beautiful. 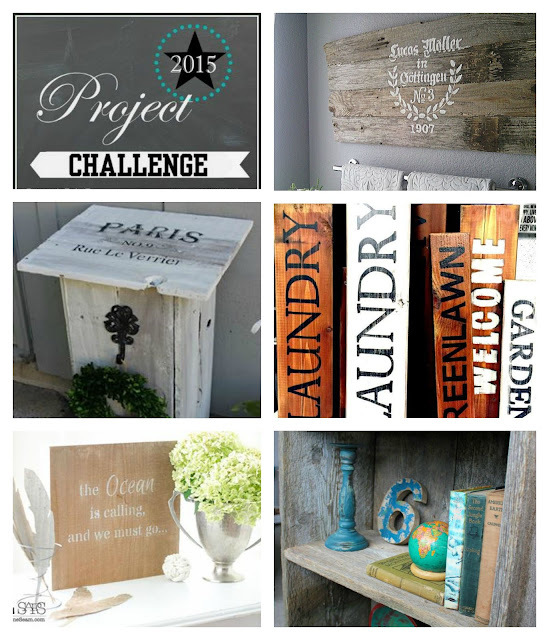 more reclaimed wood projects to put on my to-do list! all so fabulous.